This is the thrilling conclusion to The New Claus and Chilled to the Brim! Please listen to those Christmas specials first in order to keep up with the story! Mat, Dan, Andrew and Mélissa return to North Pole, Alaska, on a whirlwind expedition of Twinkle Claus’ wondrous new Christmas Factory. Inside, an incredible adventure awaits! This year, the One Word, Go! 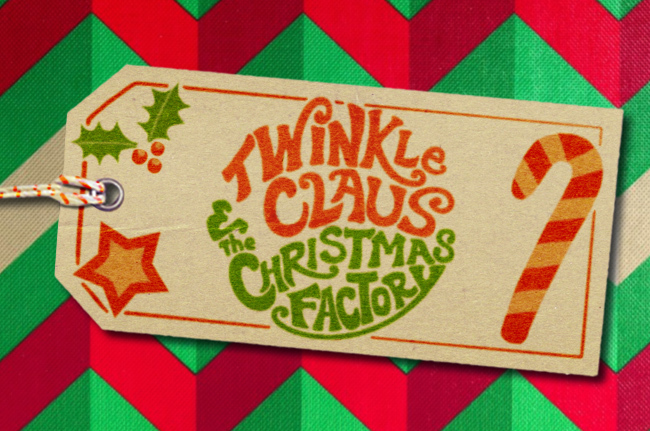 Show team is armed with a plan to expose Twinkle Claus’ shady history to the world, a plethora of outrageous music (whether you asked for it or not), and jokes a-plenty! We look forward to tons of new One Word, Go! content in 2017! A special shout-out to Willy Wonka and the Chocolate Factory, of which we blatantly parody throughout the entire show.